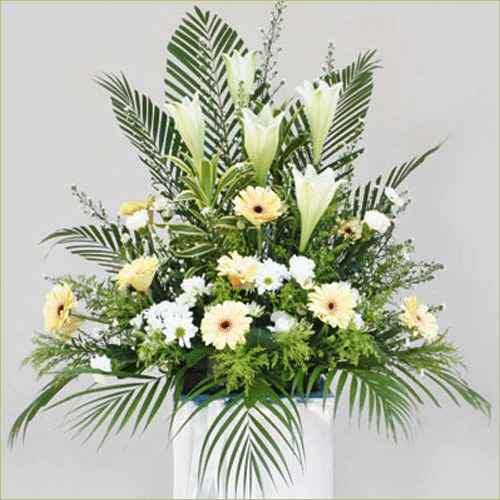 Lilies, carnations, and gerbera daisies all dignify the event with graceful beauty. Deluxe display includes 18 stems. Premium display includes 24 stems.